Michèle E. Denis, founder of the Westcoast Reiki Centre, is passionate about uncovering the ways in which we each come to engage with our transcendent Self. For Michele, the Path of Reiki and of Yoga have been her route to personal discovery, growth and healing. A Reiki teacher for over 20 years, Michèle created the Westcoast Reiki Centre in 2008 out of a desire to provide ongoing support and learning to those who studied with her. Over the years the Centre has grown into a vibrant community of teachers, practitioners and friends. In 2010 she reconnected to her earlier love of Vedic philosophy and meditation, leading her to complete her 500hr as a Yoga Therapy Instructor. Recognizing the need for many of us to calm our nervous system and still our minds, Michèle weaves together the quiet practices of Reiki with Meditation, Yin and Restorative Yoga and Yoga Nidra. When not in Vancouver, Michèle can be found at her Gulf island home or “sitting” in the Sanctuary at Omega Institute in Rhinebeck, New York. 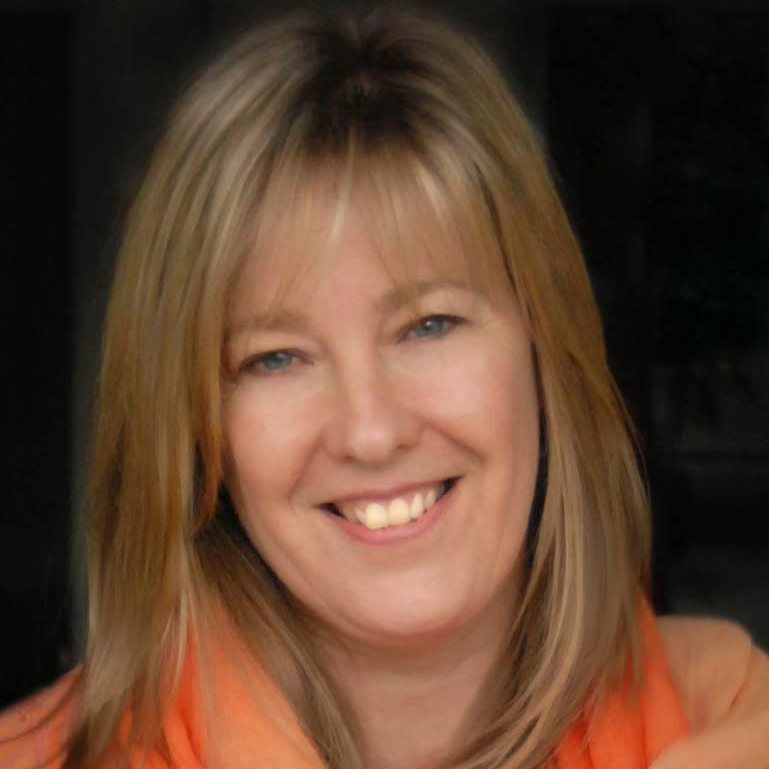 The Director of the Westcoast Reiki Centre, Karen McCullough, is a graduate from Langara College’s three year Integrative Energy Healing Program, and holds certification in Usui Reiki, Karuna Reiki, Tibetan Reiki, Yoganidra, Energetic Dialogue, Anatomy and Reflexology. Karen’s primary desire is to facilitate a path to wellness using energy based treatment therapies that stimulate the body’s own natural resources for healing. Bridging eastern and western healing science, the therapies she uses are designed to complement conventional approaches to health care. She combines energetic therapy with acupressure, movement, and dialogue to tailor a unique session for each of her clients. Karen’s personal journey to healing began when her father was ill and conventional medicine was unable to provide him with comfort. She was surprised at how effective “simple” techniques like grounding and guided visualization were at providing moments of relief. For over twenty years, I have assisted clients, as well as other healers, to facilitate positive shifts in body, mind and soul, balancing vibrational frequencies to reduce disease, discomfort, and dysfunction. In 1997 I was initiated as an Usui Reiki Master/Teacher. I continue to study alternative medicine, energy & spiritual healing, including Reiki, Crystal Singing Bowls, Sound & Color Therapy, Crystals, Aromatherapy, and other Intuitive & Intention based subtle energy healing techniques. I enjoy my role as a channel helping to shift the frequency of the planet, one soul at a time. In my personal journey to find balance & harmony, I have walked the El Camino de Santiago, a centuries old spiritual pilgrimage in Southern Spain, three times, each time experiencing different life-changing miracles & profound personal growth. May all of our journey's be filled with abundant peace, love, joy, harmony, forgiveness & gratitude! Marta Banat is a Master Reiki Practitioner and Teacher in the Usui tradition, a Kundalini Yoga teacher and Animal Massage Professional. Her Reiki practice spans both human and animal clients. In addtion to Reiki sessions Marta is also available for Indian Head Massage treatments. As a teacher, Marta teaches the core curriculum at the Westcoast Reiki Centre, as well as private or group Kundalini Yoga and meditation classes. Marta's practice is grounded in a deep connection with nature. Blending crystals, essential oils and vibrational plant healing techniques she co-creates a space which fascilittes grounding, relaxation, realease and balance in her clients. I have been practicing Reiki since 2012. My journey started in London, England where I learned Reiki level 1 and 2 in the traditional Usui way. From day one, I felt such a positive change within my mind. Then my level of energy grew and I began to enjoy being in this world. In June 2014, I moved to Vancouver, and joined the Westcoast Reiki Centre where I met Master Karen McCullough. I did Reiki level 3 in February 2015 and became a Master/Teacher in April 2016. 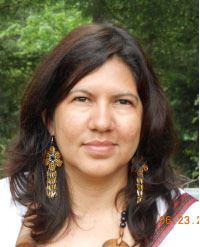 Frederique is a Master Level Reiki practitioner in the Japanese ( Usui ) Tibetan and Karuna. Originally from France, Frederique discovered Reiki when she was living in Bangkok in 2012. A born world traveler, Frederique has owned businesses in 3 countries, is a board member of L’Alliance Francaise of Vancouver and has been an Internet entrepreneur since 2003. Frederique has combined her Reiki practice with a meditation motion program a meditative practice that she designed with Martial Art Instructor and Manual Osteopath Juan Hernandez . Senzea meditation combines deep breathing, mobility and balance exercises to reduce stress, inspire confidence and live life to the fullest. My desire is to help improve our spiritual, mental, physical, and emotional competencies. Building these competencies helps us to identify our own strengths, self control, self confidence and allows us to connect with ourselves, families, and friends at a deeper level. For over 15 years I have assisted clients, ranging in age from children to adults, to improve their quality of life by helping them find peace and harmony. In February 2013 I was initiated as an Usui Reiki Practitioner and in November 2014 as an Usui Reiki Master. I provide counselling and spiritual Reiki guidance. Reiki has assisted me to develop further, connecting more deeply, more, and confidently with the Universal aspect of myself. I am passionate about channeling Reiki to help with decrease trauma symptoms, stress and heal the body, mind, and spirit. I am very grateful and I sincerely hope to share this with as many people as possible. I have been certified as a registered Psychologist in Mexico since 2004, and am currently working towards becoming a registered Psychologist in BC. I have a compassionate and caring bedside manner with a deep understanding of holistic health. I am bilingual, speaking both Spanish and English fluently with an understanding of holistic health, mind-body connection, humanity & spirituality. Together we can activate our essence and change our lives, to heal ourselves, our families, Mother Earth, and create vibrant health, bliss and love in every area of our lives. Margo is a Usui Reiki Master Teacher and a Karuna Reiki® Practitioner; and a writer with a strong interest in complementary healing. She has been studying complementary medicine modalities for a long time. She took her first level of Reiki in 2001, and since 2011, she has been studying with Michèle E. Denis, our centre’s founder, for all the Reiki levels up to Master Teacher. Currently Margo is exploring the intersection of Reiki + Writing, inspired by books such as Writing as a Way of Healing (Louise de Salvo) and the findings of Dr James Pennebaker (Writing to Heal; Expressive Writing: Words That Heal). Margo believes that chronic stress sets the stage for later disease ….. that we in urban settings are bombarded daily with physical, emotional, and electronic stress; and that the key to managing and surviving all that stress is deep relaxation—the doorway to prevention, healing, and recovery. Andrea is a Reiki Master and a talented dowser. An energy reading to receive insight, clarity, guidance, and clearings regarding your life situations. Helping you live more in alignment with your higher self, and your highest good. Sarah is a Master Level Reiki practitioner and teacher, Pranic Healer, and Psychic Medium. Sarah’s sessions range from relaxation and generalized healings to releasing of deep trauma using Reiki, Pranic healing and spiritual guidance. Sarah uses messages from spirit guides and past over loved ones as well as information from the client’s soul to facilitate a deep healing session. Client’s often report a letting go of past emotional blocks, a deeper connection with self and a sense of emotional relief and lightness. the chance to walk beside you as you rediscover the healing essence of your beautiful soul. Patrick has been practicing Reiki for 8 years in the Tibetan Usui system. He recently completed training with William Lee Rand and is a certified Usui Holy Fire II Reiki Master. He has certification in Kundalini Reiki and has studied practical Reiki Magic techniques. energy and pursued his level 1 in 2010. Patrick continues working with and learning from Reiki energy while pursuing a career in the culinary arts. Embracing Reiki has helped Patrick open up to the infinite universal energy of love. It has acted as a major supporting factor throughout his high stress career as a professional cook. that works its way into our daily consciousness. With this in mind, Patrick is interested in the evolution of Reiki and the creative ways that we can integrate it into our everyday lives. tool during times of disintegration and lack. “Reiki has helped me to feel secure in my vulnerability, clearing barriers to personal growth. Jessica is a yoga teacher by trade and always wanted to go deeper into healing practices until one day Reiki came across her path. She has instinctively been working with Reiki her whole life it wasn’t until 2015 when her first Reiki training began that she realized that was the energy she had been working with all along. She is a Usui Reiki Master/ Teacher, and a Karuna Reiki Master, and now has gone further in her studies into the Shamanic Reiki Realm. Gaining her Shamanic Certificate she has now entered a whole other world with her Reiki Practice. Now that she works in the Shamanic realm adding more and more tools to her tool belt. She has found her calling. Being able to help those who need find healing from past lives, deep traumas, old karmas, energetic and spiritual blockages and much more is a blessing and she is very grateful to be able to be of service. She is always looking on ways to grow as a practitioner to add more layers of healing to bring to her clients.